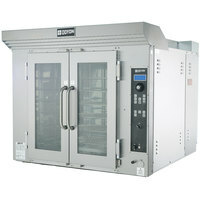 Rotating ovens are ideal for bakeries and cafes looking to evenly make breads, cakes, muffins, and cookies. 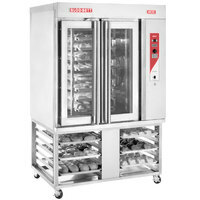 They eliminate the need to rotate pans in order to avoid hot spots. 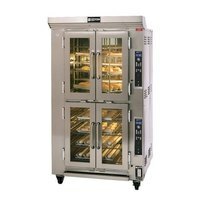 Our rack ovens provide an even bake for consistent results in each batch. 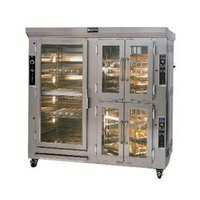 We carry rotating ovens in electric models or gas-powered models so you can find the right unit for your needs. 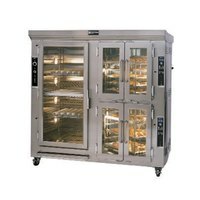 You can also find units with built-in proofers to provide you with greater versatility. Choose from single deck units, double deck units, or units with stands to make your business more efficient.